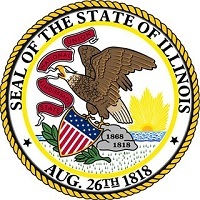 SPRINGFIELD — (RealEstateRama) — The Illinois Department of Financial and Professional Regulation (IDFPR) Division of Real Estate (DRE) recently published the “Rights and Responsibilities of Association Board Members” to clearly explain the legal responsibilities of condominium and common interest community property boards. The publication includes general information regarding governance documents, board structure, elections, general powers, meetings, surplus and deficit, special assessments, financial disclosures, insurance, records, and disclosure. “Ensuring member association boards are well-prepared and well-informed is imperative to governing a community,” said IDFPR Secretary Bryan A. Schneider. “With this publication, we seek to provide board members with the information necessary to carry out their duties, while promoting civility and cooperation between association boards and their members,” said Kreg Allison, Director of the DRE.